The annual Bournemouth Air Festival never ceases to amaze with it’s incredible displays from world renowned pilots, fast jets and aerobatics. In 2018 it was turned up a notch and for the first time featured a jet suit display team. Gravity Industries, founded in the UK by inventor Richard Browning, brought their latest fully operational jet suit to wow the crowds packed across Bournemouth’s beaches. The GREAT Britain Campaign, promoting all the key interests for travel to Britain, have partnered with Gravity to highlight the innovation within and what could well be the next frontier of human flight. As well as producing the official highlights wrap up film for the Air Festival we were also commissioned to create a short 60 second video of the jet suit demonstration on behalf of the GREAT Campaign. With help from the fantastic team at Bournemouth Tourism we developed a storyboard to include all aspects of the flight, from suiting up and firing the engines, to the flight itself, ending with touchdown and photos with fans. It was a fantastic experience to work with Gravity and the GREAT Campaign. For me personally it was incredibly hard to keep the focus on the camera position without wanting to watch from my own eyes the very spectacle of a human in flight with small but powerful jet engines on each arm. How cool is that! On Saturday 27th October 2018 I stood amongst several spectators and avid aviation enthusiasts, watching a British Airways 747 arrive at Bournemouth Airport. Not for carrying fare paying passengers, but for some maintenance and repair work following a technical issue at New York’s JFK airport. It reminded me of way back in November 2002, when I watched a chartered 747 take off from Bournemouth, flying directly to New York for a Christmas shopping trip. My dad shot the video of its departure, which has been viewed over 8 million times on YouTube. And this got me thinking. Here in 2018, on the ground at Bournemouth Airport is the iconic Boeing 747 in full British Airways colours. It’s an aircraft in BAs fleet which is capable of carrying up to 345 people. And all of these seats were empty. By now I’d have expected to see BA and other major UK and international airlines occupying the airport’s often vacant terminal parking slots, flying daily routes to holiday and business destinations. For me these empty seats are the symbol of a missed opportunity that Bournemouth has suffered for far too long. But perhaps things are about to change. The airport has transformed since that day in 2002, with major infrastructure and technology improvements, plus a brand new departures and arrivals terminal building. In December 2017, Bournemouth Airport was acquired by The Rigby Group, managed by their Aviation Division through Regional & City Airports. The new owners have promised a bold strategic vision for its future, and within its first year have already achieved outstanding results. For example, global aviation services company, Gama Aviation, have recently opened a new hub in a large hangar on the airfield. This along with seeing the prestige of British Airways sending one of their aircraft here for line maintenance form two of many reasons why I believe BOH may finally be on its way to a big and exciting future. Our office is based next to the airport on the Aviation Business Park, which is fast becoming a major business hub in Bournemouth. The expansion going on around us is incredible to see, from the brand new Curtiss-Wright building nextdoor to the infrastructure and road improvements around the perimeter. 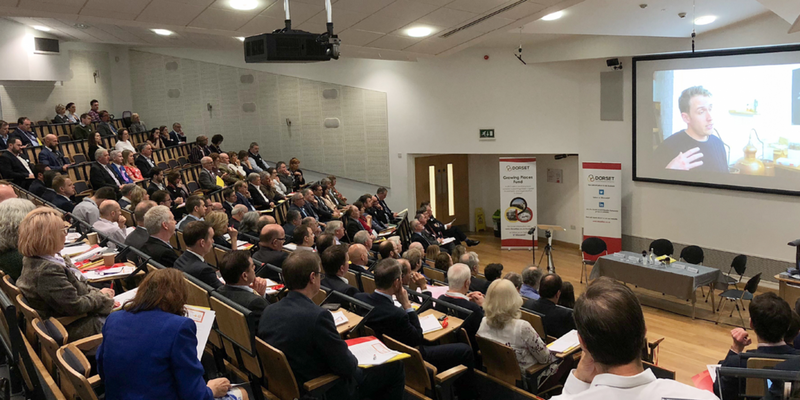 Bournemouth Airport is primed for growth and opportunity, and as a business director looking to network and make connections (and as an aviation enthusiast!) I am highly optimistic about what’s coming next. I love airplanes. Especially big jets! I’ve seen many fascinating visitors to Bournemouth Airport over the years including Concorde, the Lancaster, Sea Vixen, Red Arrows, and so many more. But on 18th November 2002 there was a sight I’ll never forget. I was stood next to my dad on the edge of Matchams Lane along with a small crowd of people who had stopped to see what was happening. We were looking west directly down Bournemouth’s Runway 26 where at the opposite end sat a Boeing 747 jet airliner, with engines idling awaiting it’s take off clearance. Many large jets have visited Bournemouth over the years but this was the first passenger flight of its kind. Local travel agent Bath Travel chartered the aircraft for a short Christmas shopping trip to New York, flying direct from Bournemouth. My dad never goes anywhere without a video camera, and today was no exception. He had the aircraft fully in the frame when its engines spooled up to begin its take off roll. As its speed rose with engines at take off power it kicked up a massive cloud of spray from the damp runway surface. Well past the halfway point, the 747 was still firmly on the ground, accelerating. For a split second, it looked like it was running out of runway, especially given the perspective from our vantage point. Even a bloke stood next to us on the video can be heard saying “he’s not gonna to make it!”. Just before reaching the runway threshold, at what looked like the last moment, the aircraft pitched upwards and became airborne, passing over our heads just a few seconds later with its engines still screaming. The resulting video has gathered over 8 million views on YouTube and we’re super proud to have it as part of our history! Our office is based next to Bournemouth Airport on the Aviation Business Park. Its new owners, the Rigby Group, have promised a bold strategic vision for its future through its companies Regional & City Airports and Rigby Real Estate. We’re looking forward to many more exciting things (and big jets!) to come in the future. Have you a viral video project in mind? Tell us about it. Get in touch! Dorset Local Enterprise Partnership, a business-led private and public sector partnership, promotes local economic growth and prosperity across a variety of projects and investment initiatives around the county. To learn more about our corporate video production please visit the Business Video page on our website. Not often we get contacted by potential clients on the other side of the world! 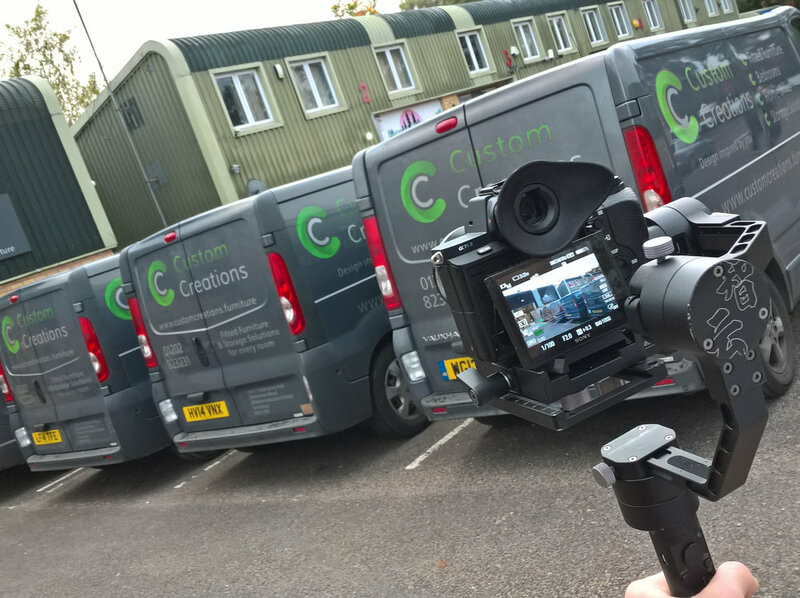 Pitch Hero, based in New Zealand and specialising in the very familiar profession of video production, contacted us with a request to produce a testimonial film featuring one of their clients, Ensign Communications, a wired and wireless services company based near to us in Wareham, Dorset. Previously, Pitch Hero produced a short animated feature for Ensign Communications advertising their services. Ensign were more than happy to provide a glowing review. We worked with Ensign’s Marketing Manager, Gregg to capture and produce this short testimonial film, which now features on Pitch Hero’s home page. To learn more about our testimonial films and more (home or abroad!) check out our business video page. During the second half of 2017 we worked Custom Creations, a bespoke hand crafted furniture company based in Verwood, Dorset. Their website was being redesigned by Westbourne based digital agency, Upperdog, who kindly recommended us to create their client's new promotional film to feature prominently on the home page. The shoot took then took place to capture all of the above stages, both at the offices and workshop of Custom Creations and at the home of one of their customers so that we could capture their brand new wardrobe and desk being fitted using a timelapse sequence. After piecing all of our best footage together in post production, the final Custom Creations film is here! Charles and Harry created and produced a Video for us and we were delighted with the end result. They took the time to get to know us and understand our Company and what we were trying to achieve, and the result was fantastic and professional. 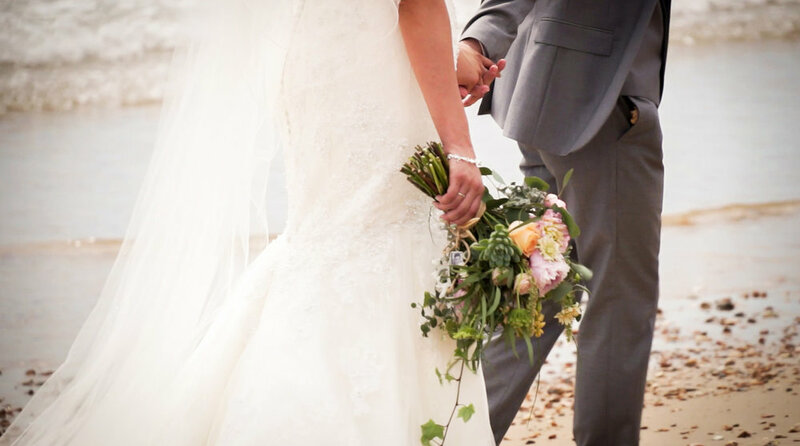 They are always ready to advise and they give you complete confidence throughout the whole process. Looking for a promotional film for your business? Take a look at our business video page for further info and get in touch by sending us an email to play@platovideo.com or giving us a call on 07557 448526. 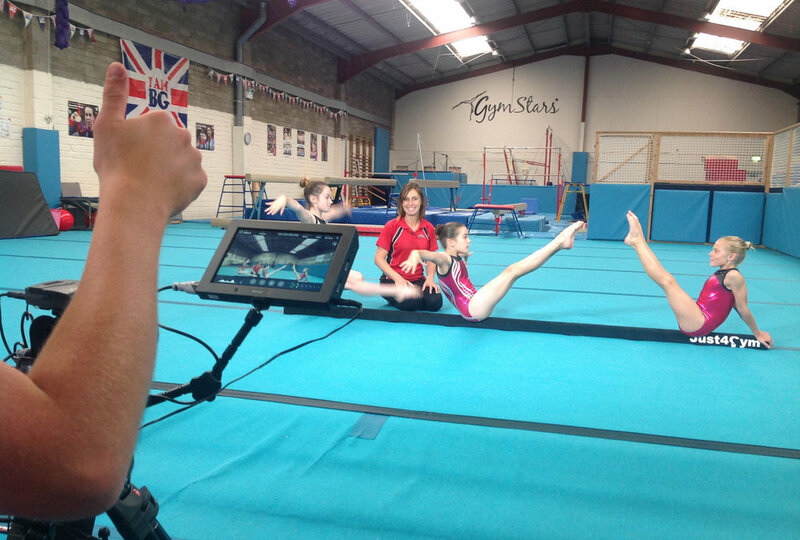 This year in 2017 we worked with Gemma again to produce a brand new set of videos to go with her Floor Beam skills book. The shoot took place over the course of one day in July at a local gym club, where we captured a total of 42 video sequences, perfectly illustrated and guided by Gemma along with her (very!) talented young gymnasts. 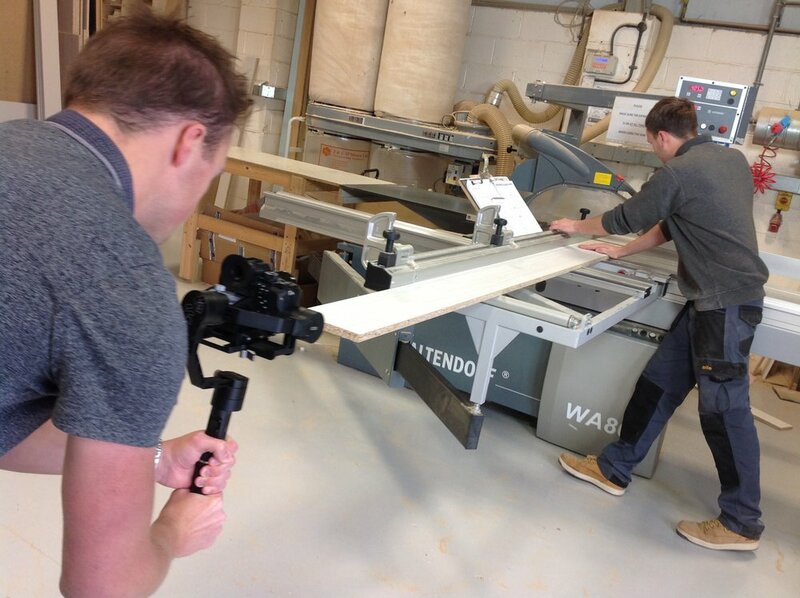 For more details on our DVD / App video production, visit our business video page or get in touch! Every year since 2007 Bournemouth based airsoft retailer, Zero One Airsoft, hosts the National Airsoft Festival in Ringwood, Dorset. It is now one of the major events in the airsoft calendar, and in August 2017 welcomed 2,500 players from across the country and Europe over its 3 day duration. Airsoft is often compared to Paintball but unlike marking their targets, airsoft guns use small BB pellets as ammunition, and are available as full scale replicas of real world weapons. Players take part in mock combat / military scenarios and win by not just shooting their opponents but completing objectives and tasks set by their team. 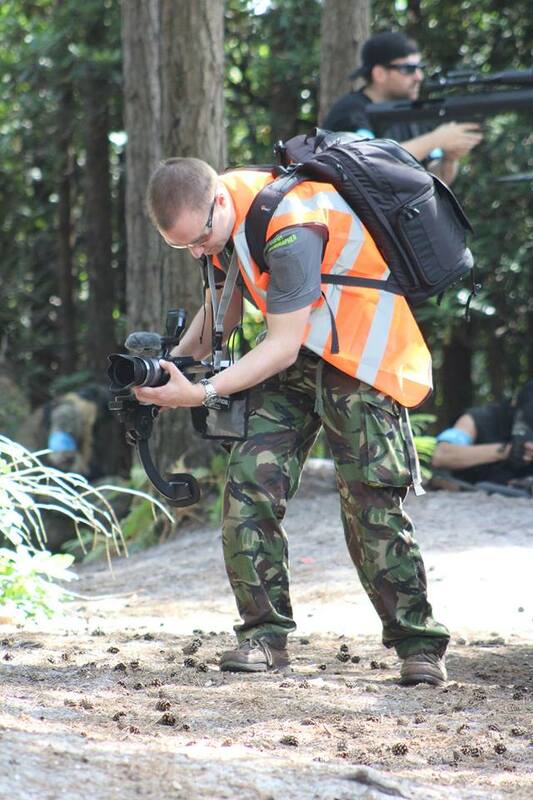 Each year since 2014 I have produced the official film for this event, capturing all of the activities around the festival site including the camping area, shooting range, food and drink stands, the shop, and most of all, the airsoft action. When out amongst the players I always try to keep a low profile so as not to distract or give away their position to the enemy, but I like to get as close to the action as possible. It comes at a price as it’s impossible not to get shot in the process, regardless of how much hi-vis I’m wearing! Below is the official video of the 2017 National Airsoft Video which at the time of writing has already been viewed over 16,000 times on Facebook and will be widely used as an advertising campaign across the UK and Europe to promote ticket sales for next year. For more information about our event video production check out our events page or get in touch using play@platovideo.com or 07557 448526.